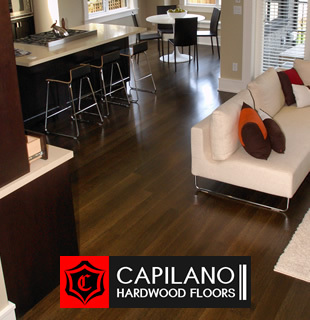 We offer a wide range of excellent unfinished flooring options for the high-end houses in Vancouver. We have served the Vancouver area, including West Vancouver, North Vancouver, Burnaby, Richmond, Coquitlam, Whistler, and Maple Ridge for over 18 years! For your family's health and safety we only use Water Based Bona Kemi Flooring Finish on your residential unfinished flooring projects because this finish does not emit harmful vapours like many other oil based finishes. Unfinished flooring comes in nearly every species and can be made custom to order with custom board lengths, grain patterns, and board widths! Most popular unfinished floors tend to be Maple, Red Oak, White Oak, and Walnut! Custom unfinished flooring allows for incredible design variation. You pick the species, the colours, the sizes, and the design style, and we do the rest!